Hundred years ago, people summoned powerful Gods and Heroes to against the devil force. After a long time peace and happiness, the devil force began to sprout. The ancient heroes from the world around await your summons to battle! 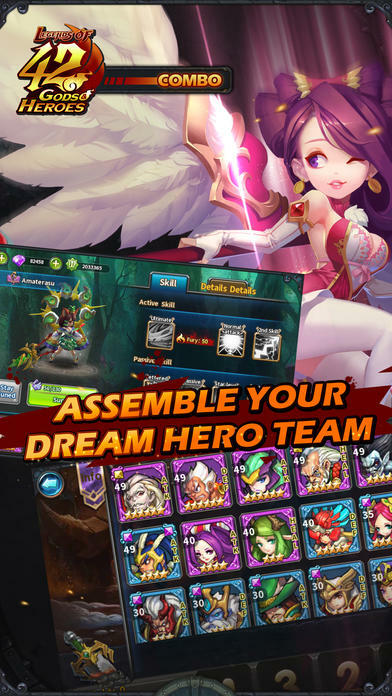 To meet epic combo experience with your favorite Gods and Heroes in the fantastic world! Assemble a perfect team to begin your magnificent adventure! Innovative play mode of ultimate combo, arrange “pageantry combo + ultimate attack” freely to challenge the most powerful combo damage! The beautiful and fantastic scenery of main city and stage perfectly create a wonderful visual feast in the history of mobile game. 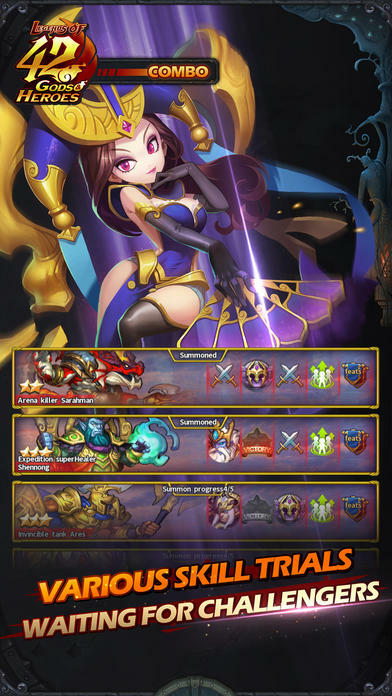 Defense, Attack, Healer, Control, how to assemble unique skill of heroes needs your strategic consideration! 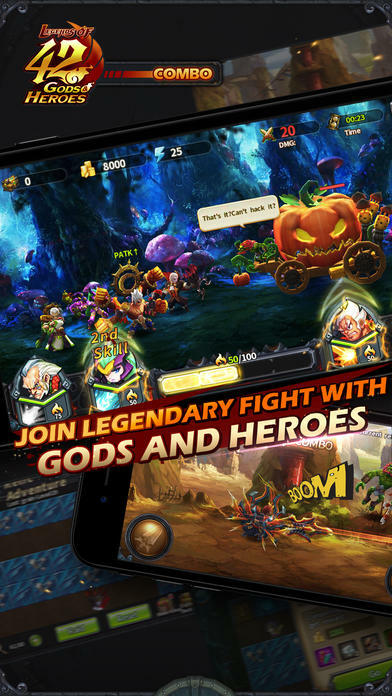 Join war of Gods with mighty heroes and rebel the great Dragon King to claim secret treasures. Various heroes modeling, completed system of clothing evolution, the more powerful heroes, the more luxury clothes! 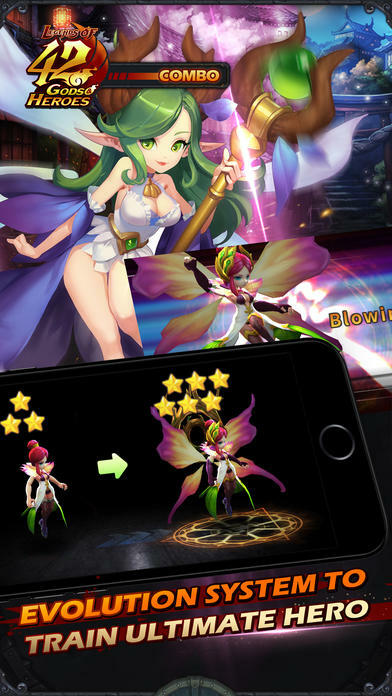 To explore the new surprise from various gaming system and to enhance heroes by collecting materials. Gather a group of intimate partners to strengthen guild momentum.